One of the important first steps for any company is setting up a website and social media accounts. Nowadays a whole host of services rely on you having a website as a way to check that you are a legitimate business and understand your products. Moreover, without a website and social media presence you may struggle to reach your customers. When building a website always remember who your target audience is and make it as simple as possible to understand your business function. The average bounce rate (one-time website interactions) is between 40 – 60% and the majority of people leave a website in less than 60 seconds! To beat these odds keep your content engaging and easy to digest. So, how do you actually create a website? Fortunately, there are several services out there that make it easy to do all three of these steps on one platform. Some of the biggest (and most reliable) names are 1 & 1, In Motion and GoDaddy. Let’s break down each step and identify some common routes people take. The common sites for registration are 123 Reg or Google Domains. Firstly, you need to check that your chosen domain is available. If it isn’t, most services will offer suggestions you might try instead. Secondly you need to get the provider to register it (there’s a fee for registration but it’s usually only a few pounds). Most registration companies also offer web hosting (see final step). 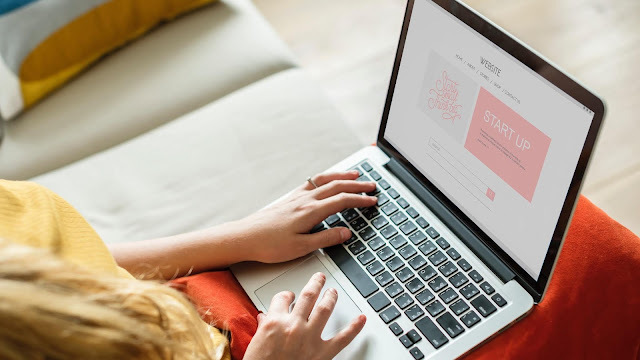 Assuming you are a small business and lack technical expertise, it’s probably sufficient to get one of the basic hosting packages that will give you access to multiple email addresses and a single website. Once you have paid for all that you can set up and start using your emails and move on to building your website! The alternative, if you are technical or have access to someone with web design experience, is to create your own site and use the provided tools to upload this to a hosting service. There are pros and cons to both approaches. The standard template websites tend to offer less customisation, but on the other hand they are generally well tested and will work straight out of the box on a variety of platforms. Most importantly, they will usually use what is known as Responsive Design, meaning they will display equally well on a mobile, tablet or desktop. It can also be a cheaper endeavor to begin with, as the cost of employing someone to build a custom website can quickly add up! The last step is connecting your domain to the where your website is hosted. If you built the website using the same platform you registered your domain with, this process will be very simple, if not automatic. It should just be a matter of publishing it. If you are using a third-party builder, it should be a matter of following a guide, and changing the name servers to point your domain at your new website. If you built the website from scratch, you probably already know what you’re doing, but you’ll need to upload all the website files into the public directory and point your name servers to the ones detailed by your hosting provider. Hopefully this lays out the basic steps to get your website up and running and the common paths taken. As a recap, register a domain, build the website (either using a builder, or coding it yourself) and then host it somewhere. The important part is making sure your domain is pointing to wherever you hosted it. It may seem a little complicated, but there are numerous detailed guides online which break it down step by step. With a little effort you’ll have your shiny new website up and running in no time!